Recently, we have been hearing of the multiple methods that 3D printing will provide for the construction of buildings and other large structures outside of the earth’s atmosphere. 3D printing (also known as additive manufacturing) has just recently made its entry into space, with NASA and Made in Space teaming up to send an FDM/FFF-based 3D printer to the International Space Station (ISS). While this may be as good of a time as any to reuse Neil Armstrong’s famous quite, “This is one small step for a man, one giant leap for mankind,” we still remain years and perhaps even decades away from using 3D printing technology to begin creating habitats on non-terrestrial bodies. The biggest obstacle that stands in our way of being able to 3D print large structures on the moon or on other planets is the fact that most of the technologies that work here on Earth require a large amount of supplies. Think about it for a moment. 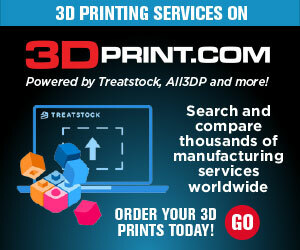 The 3D printer located on the ISS is a tremendous aid in creating tools as needed. It cuts down on supplies that astronauts need to bring with them. If a part breaks, a replacement can simply be 3D printed. This machine means that there is no longer a need to keep dozens of extra parts for every little scenario that is possible. With this said, it doesn’t completely eliminate the need for supplies. The plastic filament used to fabricate objects must still be brought up to the ISS as needed. There is no way that NASA will be able to 3D print buildings and other structures using FFF/FDM technology. It would require too many raw materials that would need to be bought into space. When you consider the fact that it costs $4,000 to $13,000 per kg to transport supplies from a spacecraft launched from the ground to Low Earth Orbit (LEO), the government would quickly run out of money. Recently at the American Society of Civil Engineers; (ASCE) St. Louis-based Earth and Space 2014 conference, a team from NASA’s Kennedy Space Center (KSC) — which included Robert P. Mueller, Laurent Sibille, Paul E. Hintze, Thomas C. Lippitt, James G. Mantovani, Matthew W. Nugent, and Ivan I. Townsend — presented research that they conducted, and the results of this research are quite thought-provoking. Continuing the thought that most of the 3D printing methods that we see here on Earth would not be suitable for the creation of large scale structures in space, let’s examine a few of these methods. Over the course of the past couple of years we have begun to see new methods that companies and individuals have been using to 3D print large structures. There are those 3D printers which print using concrete-like materials, in what is referred to as contour crafting. While this is a tremendous way of reducing costs, waste, and time, there is no way we could get the raw materials needed for this construction method to other planets or even the moon. There have been other methods like those used by D-shape where in-situ resources are used, such as sand, rock, and native soils, which are then mixed with a binding agent that forms a sandstone-like structure. This certainly would reduce the need to bring a ridiculous amount of raw materials into space, but still requires the binding material either launched from Earth or created/mined from these non-terrestrial surfaces. This would still mean very high transport costs, more time needed, and more resources required. Because of these issues, researchers at NASA KSC have been studying a very intuitive method of 3D printing on the surfaces of other planets. Their method is very similar to that of large industrial selective laser sintering 3D printers, which lay down layers of material that are then sintered (melted and hardened) by heat lasers. This occurs one layer at a time until an object is completely built up. One caveat, however, is that these machines still require some sort of raw material. KSC researchers may have found a solution to this problem though. As we all know, planet Earth frequently sees volcanic eruptions take place. When this occurs, molten lava flows from the Earth’s core, winding up on the surface as ash, volcanic glass, and basalt deposits. Basalt is also found on other planets, and is actually quite abundant. When this basalt is melted with extra high temperatures, it becomes that same glassy substance which is found around volcanoes here on Earth. So researchers decided to use this as a method of testing the feasibility of 3D printing on other planets. “Flexural strength testing (3 point bending) was performed on test coupons of solid processed BP-1 and JSC-1A using an Instron load frame testing machine and 100 kN (22,480 lbf) load cell. Multiple samples and tests were conducted for repeatability. Test results indicated that the samples had strengths better than residential concrete, and similar to some weaker glasses (Bon,2003). Testing of useful shapes beyond test coupons has focused on structures with unsupported spans (which pose a challenge for any Additive Manufacturing process), including cones, hemispherical domes, and ogive domes. As you can see in the image provided by NASA and ASCE below, it certainly looks as though their test prints were quite successful. NASA KSC says that the results have been promising but we must consider the fact that they are only at a “bench top scale.” Researchers are continuing to work on the development of this innovative technique, as well as issues that they foresee arising. Not only does this research shed light on the potential that this additive technology could have on non-terrestrial bodies, NASA KSC also noted the potential that it could have here on Earth, where basalt is widely available in volcanic regions around the planet. It could potentially allow for the creation of structures in regions with large amounts of basalt deposits, at greatly reduced costs, as transportation and mining of materials could be greatly reduced themselves or even completely eliminated. Basalt is extremely environmentally friendly, meaning less pollution to our environment as well. It should be interesting to see how this technology evolves over the coming years. NASA is definitely on to something, as this currently seems like the best possible method for 3D additive construction outside of the Earth’s atmosphere. What do you think about the feasibility of this technology in creating large structures on Mars, the moon, and other celestial bodies? Discuss in the ‘3D Printing Structures on other Planets’ forum thread on 3DPB.com.